Extensive field operational data, combined with advanced engineering allows Thermtronix® to create a furnace design specifically for custom low-pressure casting applications. 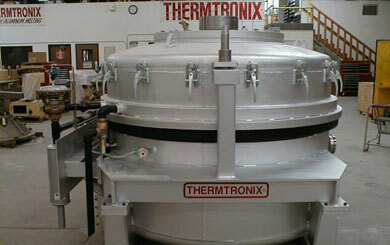 Thermtronix®’s team of highly innovative engineers have revolutionized furnace design. Now, high efficiency, solid state electric resistance furnaces can be customized with many specialty applications. Exceptional furnace temperature control, special refractory considerations and other critical design parameters allow a unique approach to furnace design.